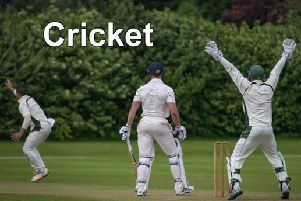 Sleaford Cricket Club will begin their Lincolnshire ECB Premier Division campaign on Saturday. They will hit the road, travelling to face Louth at the London Road Sports Ground. Sleaford finished fifth in the county’s top flight last year, with Louth battling relegation before eventually completing the 2017 season in ninth. The contest begins at noon. Meanwhile, the Second XI will begin the defence of their South Lincolnshire and Border League Premier Division title by hosting Woodhall Spa Seconds. Woodhall pushed hard for top spot last season before falling away late on to finish as runners-up. Billingborough will also begin their SLBL Premier Division campaign on Saturday. They travel to face Stamford Lions, their contest also beginning at 1pm.